Beware of imitations! 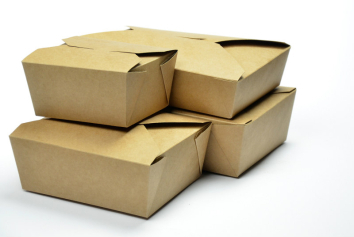 Many similar-looking hot food cartons have a natural kraft finish, though in fact have a plastic lining and therefore are not compostable. 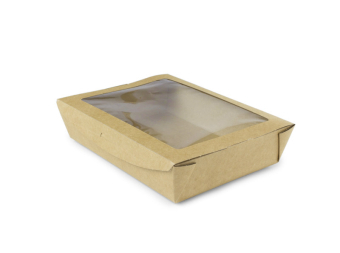 We offer the full eco version - sustainably sourced paper board with a water-based coating, made up with leak-proof webbed corners and fold-in flaps to give a secure closure. Ideal for pasta, pie, mash and gravy and all sorts of hot treats. Some of our customers use them for wrapping up biscuits or chocolates. We recommend testing them out with whatever food you have in mind, so just get in touch and we will send samples for you to have a play with.